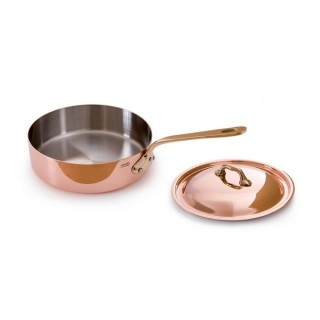 The collection M'héritage is a combination of two powerful and traditional materials, copper and stainless steel. This blend of materials energizes the pleasure of cooking. The copper allows for unsurpassed heat conductivity and control, and the stainless steel interior is ideal for all daily cooking needs. The M'héritage collection represents the total experience and heritage of Mauviel 1830, and is used by professionals and household cooks throughout the world. 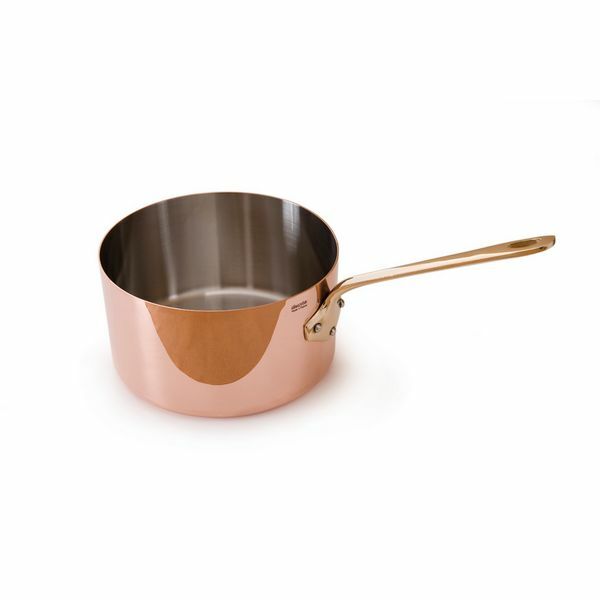 Polished copper exterior, 18/10 stainless steel interior, stainless steel rivets, bronze handle and 1.5mm thick copper layer. Non-reactive 18/10 stainless steel interior preserves the taste and nutritional qualities of foods and is easy to clean - no re-tinning required.